Bandhavgarh is an ideal location for motorbike tour India. An invigorating trip through the Indian forests on one of the best motor bikes in India, the Royal Enfield, will leave you refreshed and stimulated for hours. The amazing route of the smooth highway is perfect for a thrilling motor bike in India. Charming landscapes can be explored as you ride through the Bandhavgarh national park. The Vindhya hills render rough terrains here, which are exciting to ride at as the untouched beauty of the place is enough to mesmerise one. Ride through the lush greenery of the national park and absorb the soothing breeze as it refreshes your soul. Such motorbike tours India, away from the hustles and bustles of the busy cities of the country are the need of those who have come for a short vacation to help them rejuvenate your senses. You can also get an exciting opportunity to encounter the wild fauna of the Bandhavgarh forests as you ride through the arresting vicinity that is full of gorgeous flora. 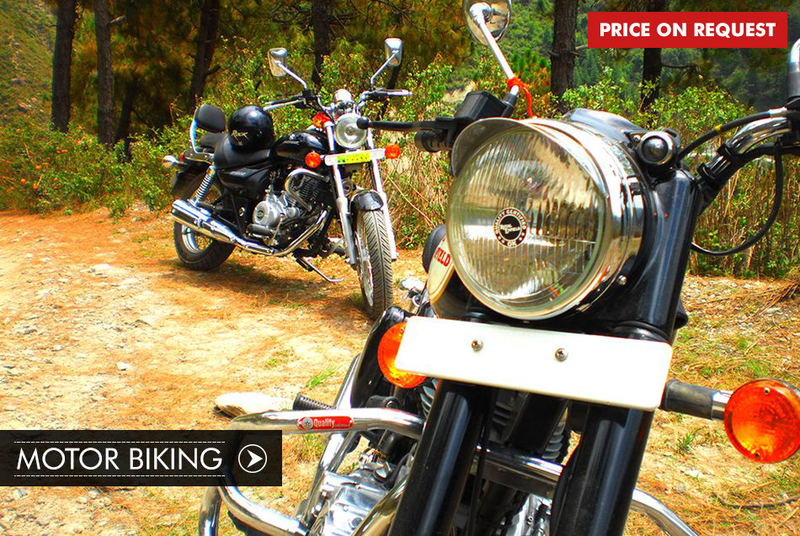 Book the motor biking activity with Bandhavgarh 365 to get the awesome chance of discovering nature in its true form.